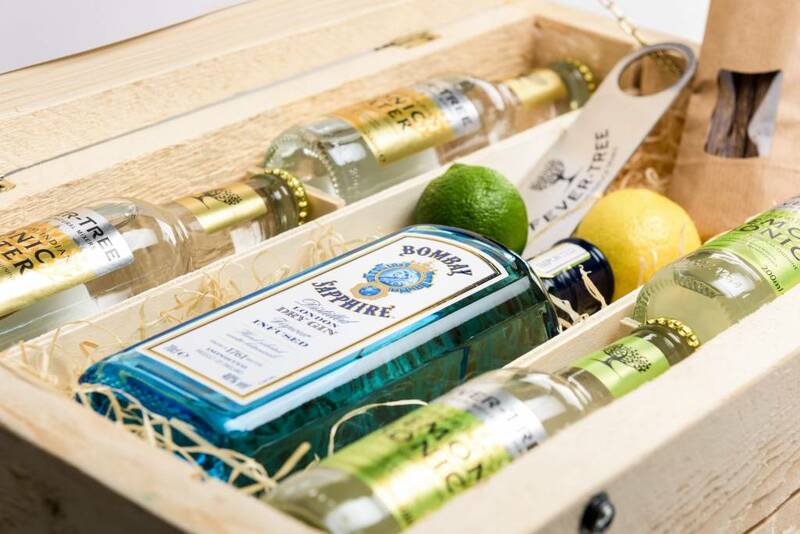 Bombay gin is in a sapphire blue glass bottle, with the image of Queen Victoria. 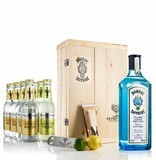 With this the brand indicates that we are dealing with a real English gin. For the taste you have chosen a number of remarkable herbs, take for example the tail pepper and the malaguena pepper. 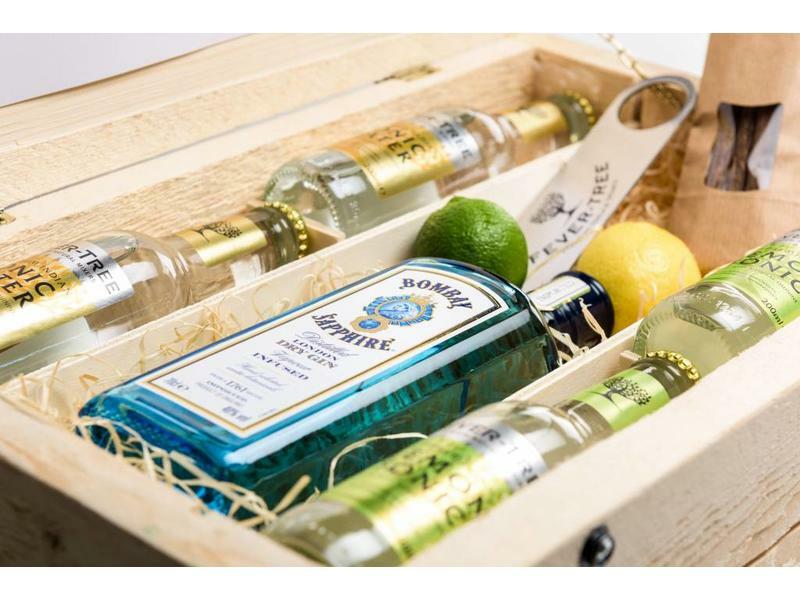 Connoisseurs find this gin both subtle and complex. 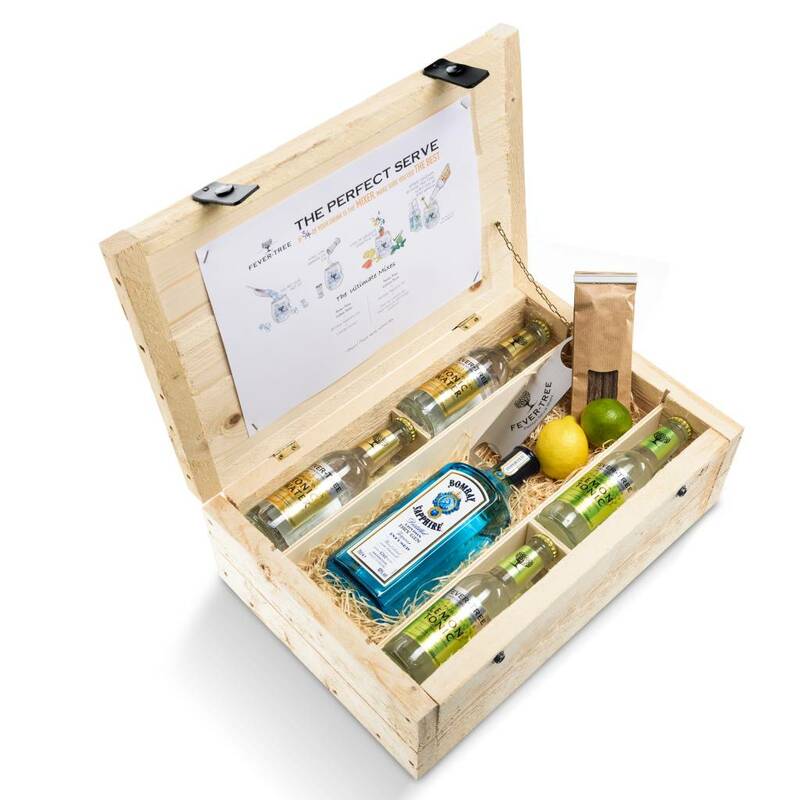 The package contains two types of tonic, four of each kind, which together with the gin make a nice gin tonic cocktail. 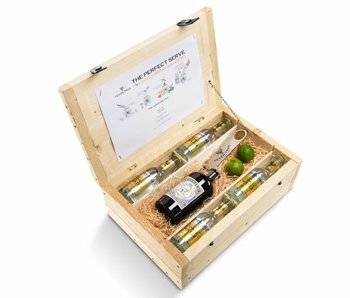 Fresh ingredients such as lemon, lime and licorice make the cocktail complete. 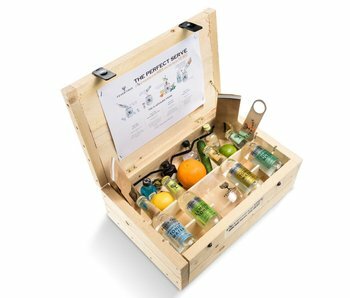 This beautiful package contains a large bottle of Bombay Sapphire gin of 0.7 liters for creating a real Bombay Sapphire Fever Tree. 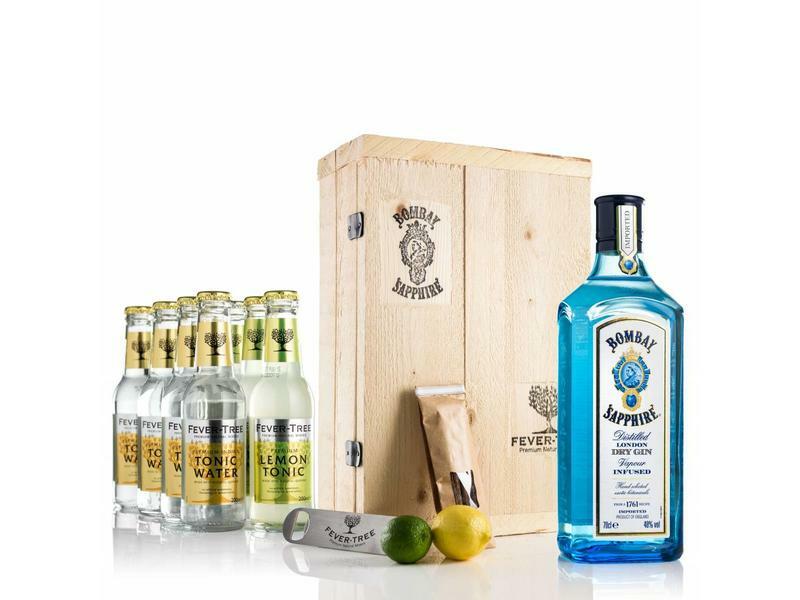 If you want to try the gin first, you can choose the miniature package with Bombay Sapphire gin and Fever Tree Lemon tonic. Do you really want to give a valuable gift, then choose this nice big package. 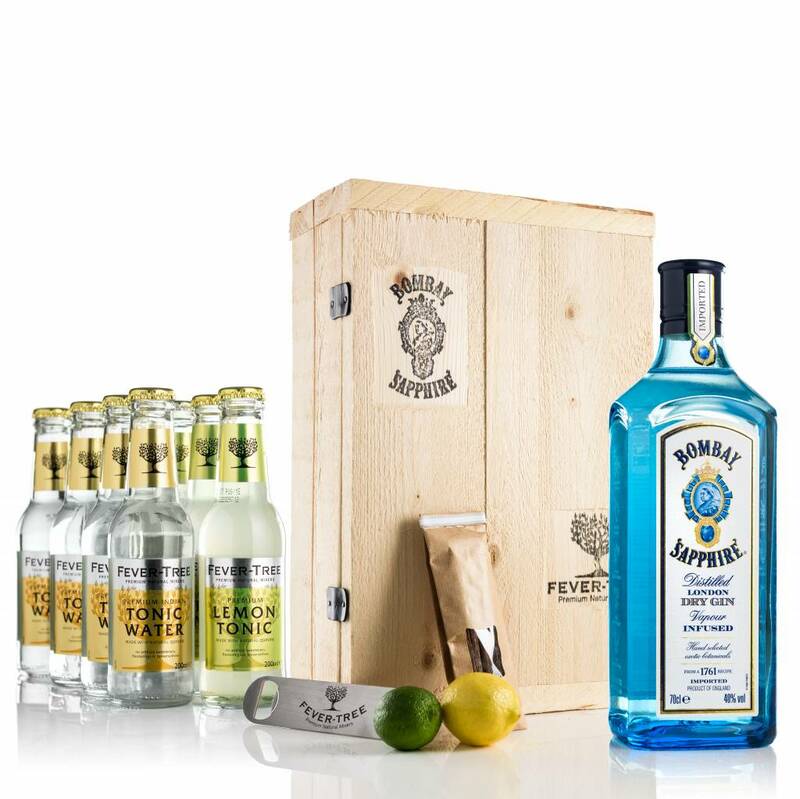 Together with the original wooden gift box package Bombay & Lemon tonic is a gift of size. 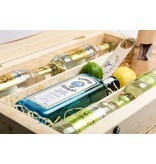 Perhaps a nice birthday present for a special person or an original promotional gift. 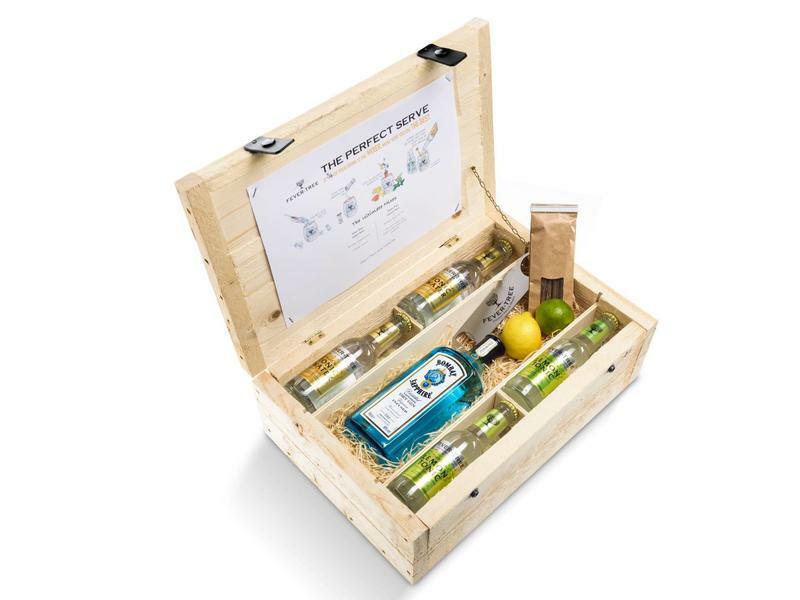 Whoever decides to give this beautiful package, the gin lover will certainly appreciate it.